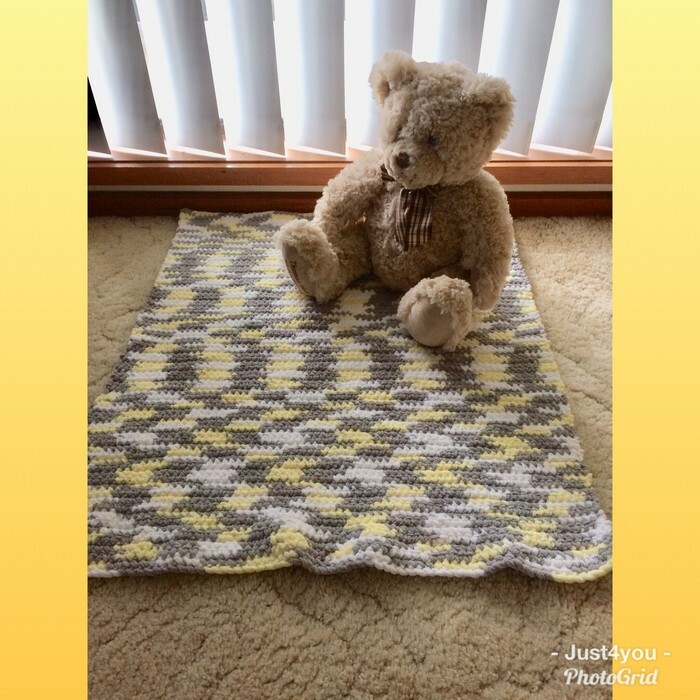 Unisex hand crocheted baby playmat, rug, blanket. 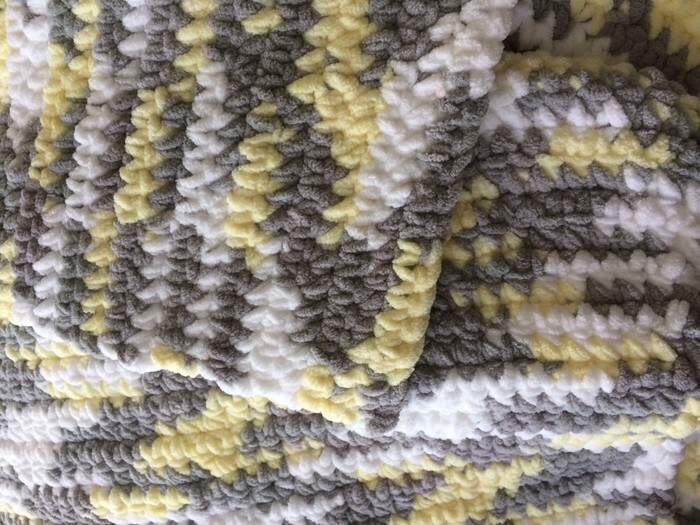 This hand crocheted item has many uses! Put in on the floor for your baby to have tummy time on, use as a blanket in the pram on a cold winters day or use it as a floor rug next to the bed. 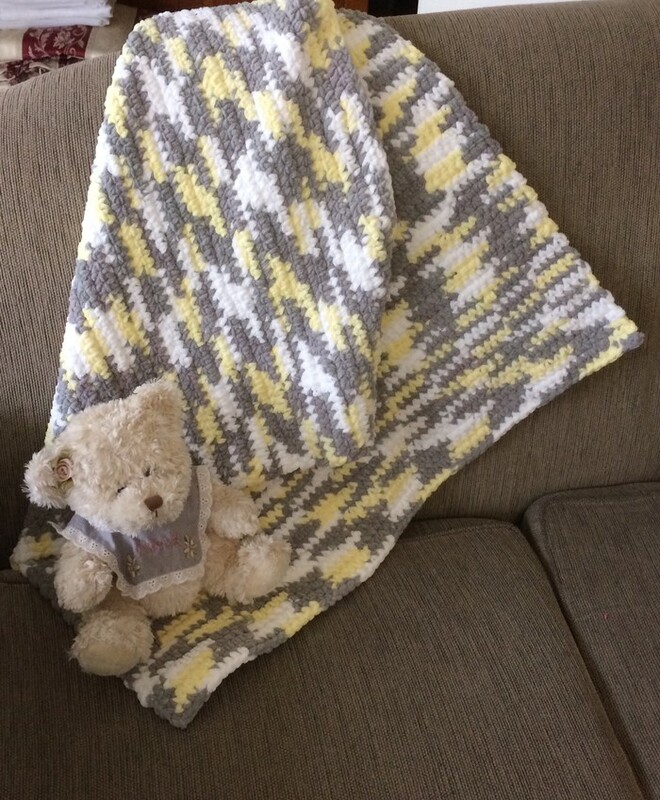 Made from neutral colours it would make the perfect baby shower gift and will match most nursery decors. It is made from super soft polyester chenille yarn and is nice and thick. Measurements approximately 66cm X 73cm X 0.6cm. Please pay within 3 days of buying items.